A kid's smile can brighten our day. My youngest nephew is my model. 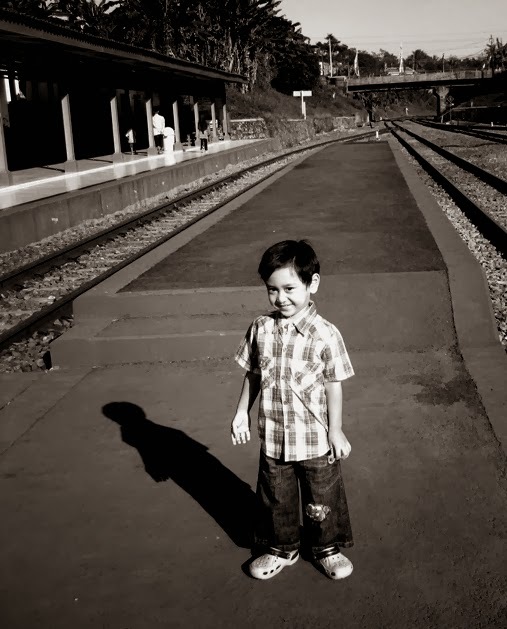 What a cute little boy :) Good photo! Thank you for brighten up my day. Oh. he is so cute!!! Yes, cute and fun, to beautiful portrait! Beautiful child and great shot.